The post production work of Suriya’s most expected film, Masss is going on in a full speed and it is expected to be completed in the few more days, so that the film would hit the screens on the 15th of May as planned. With just hardly 3 weeks to go, Suriya fans are more than just eager to catch a glimpse of the film through posters, teasers and trailers. Yuvan Shankar Raja takes care of the music department and his songs are keenly awaited too. 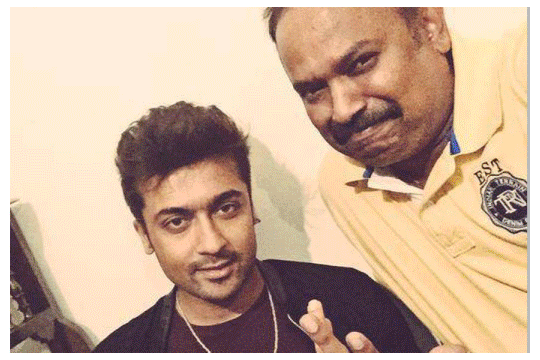 Latest we hear that Yuvan Shankar Raja has submitted the Masss audio master copy to makers. Yuvan Shankar Raja who joined Twitter recently, shared the news in his official micro-blogging page. "Master given and now Working on #Masss BGM score... You guys gonna will love it.....", Yuvan posted. But when we spoke to our sources close to the team, we heard that nothing has been finalized yet with regards to the launch of the promos. So the wait continues ! Nayantara, Pranitha, Premgi Amaren starring Masss is a horror thriller directed by Venkat Prabhu under KE Gnanavelraja's Studio Greens banner. Makers are yet to announce Masss audio launch date, while movie is slated for May 15 release.